Westerns gradually fell out of popularity in the early 2000's as the genre failed to impress the contemporary audiences of the new century. It seemed that in many ways, the spaghetti western ran its course. The wild frontier it traditionally revolved around became a tired, overused backdrop and the theme of man versus wild frequently found itself better explored in other locales as entertainment evolved. While once a major player in the birth of modern film, westerns were in dire need of a reboot by the time 2010 came around. But before their cinematic rebirth came in movies like Quentin Tarantino's eponymous Django Unchained and the Coen Brother's True Grit, Rockstar Games placed its own bet on the future of the genre. In May 2010, they released a surprising sequel to a previous PlayStation 2 obscurity called Red Dead Revolver. The result was Red Dead Redemption: a sprawling open-world tale of revenge set directly on the borders of Mexico and the United States, featuring an outlaw turned bounty hunter on a quest to save not only himself but his wife and son. RDR was an overnight hit. 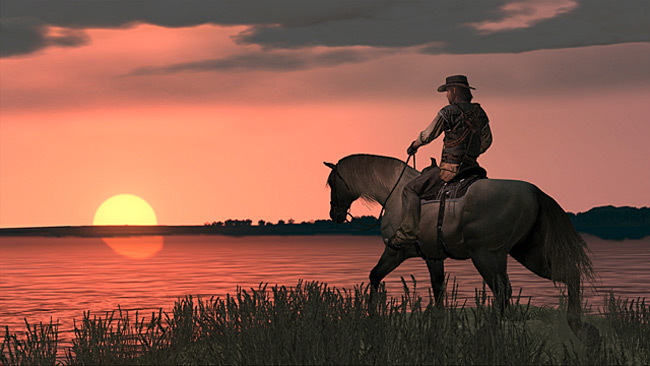 Earning Game of the Year from nearly every publication in 2010 and selling over 14 million copies despite not appearing on the PC, it lived up to its name by redeeming the western as a genre. As E3 approaches this year, publisher Take-Two has hinted that Rockstar is revving up for another release in an already established series. This comes after several other clues to Red Dead Redemption 2's existence including the studio that developed both RDR titles, Rockstar San Diego, hiring talent to work on an unknown open-world game as well as a former employee dropping vague messages about returning to the frontier sometime soon. In other words, there's a large chance that the third installment of the Red Dead series will be announced this year. And while RDR certainly got a lot right the second time around, here's what we hope the series' next iteration brings gamers. As you cross the border into Mexico for the first time in Red Dead Redemption, Jose Gonzalez's "Far Away" starts up. The guitar chords strike a sense of loneliness in the player's heart as they ride alongside jagged cliffs that rise up along the left of the riverbank. It's a breathtaking moment that shows the player exactly how rural and majestic the west was back then--as well as how painstakingly crafted the surrounding environs are. It's true, Rockstar certainly knows its open worlds. And if Grand Theft Auto V showed us anything, it was that it continuously improves on its digital landscapes in both the scope of the details and overall distance covered with each title. Of course, RDR's world was largely confined by the technological limits of the Xbox 360 and PlayStation 3. And hey, size doesn't always matter anyway. Still, we'd like to see a bigger west that covers more regions. Seeing multiple territories would certainly help establish an even stronger setting for the series, much like Liberty City and San Andreas have done for Grand Theft Auto. Furthermore, the new frontier of Red Dead was incredibly empty. While it's supposed to be an isolating experience in a desert, there simply wasn't enough life throughout the landscape nor were there enough memorable places to explore. The random events felt scripted at times and Marston could ride for significant periods without encountering anything of value beyond an animal or two. Bethesda's Fallout 4 showed exactly how to liven up a barren wasteland and the next installment of RDR would do well to heed its lesson by offering meaning in the small details as well as more NPCs. Show us more wildlife, add a surplus of encounters as well as events, and litter the desert with even more of the unique side characters like the ones that filled the 2010 title in the first place. Speaking of excellent characters, Red Dead Redemption delivered those in spades. While sometimes known for lackluster extras and phoned in side quests in their games, Rockstar rarely missed the mark with RDR. The game's various players from small to large were deftly written and showed the best side of the studio's patented satirical humor. Even the game's minor characters were memorable. From the notorious cannibal Randall Forrester who ate several of the denizens of Armadillo to the enigmatic strange man who wore his top hat with aplomb, the side characters really helped to carry the game with their personalities. They showed exactly how desolate and depraved the west can be while exploring the limits of Rockstar's narrative prowess--making the player feel both Marston's incredible loneliness as he searched for fellow frontiersmen as well as the trepidation he felt with every encounter. Unfortunately, it feels like the company took a giant step backwards with GTA V. Even the three protagonists fell a little short, their stories notably less interesting than the story of GTA IV's Niko Bellic. Overall, the latest GTA had very few notable personalities with the exception of Trevor and his lackeys who, while often hilarious and unhinged, couldn't carry the game on their own. 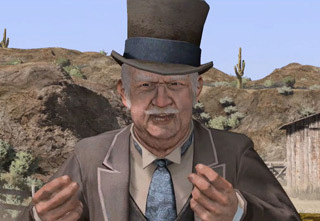 Here's hoping the new RDR keeps the series' trademark of having memorable characters. The world could use a few more Bonnie MacFarlanes and Abraham Reyes. Or, in the very least, a couple more men in top hats predicting Marston's ill-fated future and speaking in riddles--right?